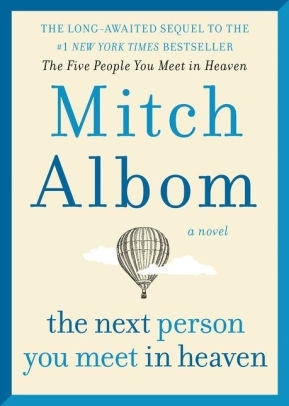 VJ Books Presents Author Mitch Albom! Mitch Albom was born on May 23, 1958 in Passaic, New Jersey. He is an internationally renowned and best-selling author, journalist, screenwriter, playwright, radio and television broadcaster and musician. His books have collectively sold more than 35 million copies worldwide; have been published in forty-nine territories and in forty-five languages around the world; and have been made into Emmy Award-winning and critically-acclaimed television movies. He earned a bachelor's degree in 1979 at Brandeis University in Waltham, Massachusetts, majoring in sociology, but stayed true to his dream of a life in music, and upon graduation, he worked for several years as a performer, both in Europe and America. In his early 20's, while living in New York, he took an interest in journalism and volunteered to work for a local weekly paper, the Queens Tribune. He eventually returned to graduate school, earning a Master's degree from Columbia University's Graduate School of Journalism, followed by an MBA from Columbia University's Graduate School of Business. Mitch eventually turned full-time to his writing, working as a freelance sports journalist in New York for publications such as Sports Illustrated, GEO, and The Philadelphia Inquirer. His first full time newspaper job was as a feature writer and eventual sports columnist for The Fort Lauderdale News and Sun Sentinel in Florida. He moved to Detroit in 1985, where he became a nationally-acclaimed sports journalist at the Detroit Free Press and one of the best-known media figures in that city's history, working in newspapers, radio and television. In 2010, Albom was named the recipient of the Red Smith Award for lifetime achievement by the Associated Press Sports Editors. Albom has founded eight charities, many in the metropolitan Detroit area. Author Signed Hardcover Book November 2015 NY: HarperCollins First edition, first printing, mint, new/unread in a flawless dust jacket, signed by author. Each dust jacket is protected in an acid-free archival quality acetate cover. Author Signed Hardcover Book. October 2018 NY: Harper First edition, first printing, mint, new/unread in a flawless dust jacket, signed by the author. Each dust jacket is protected in an acid-free archival quality acetate cover.